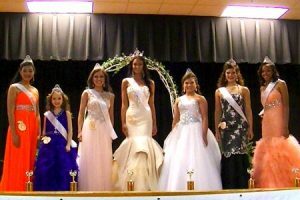 The Johnston Peach Blossom Festival beauty pageant was held Saturday, March 28, at the historic Johnston Elementary School Gymnasium. The pageant is sponsored by the Johnston Development Board. Kaliandra Turner, a senior at Fox Creek High School, was crowned Miss Peach Blossom 2015 and will be awarded a $500 scholarship to the University of South Carolina upon enrollment this fall.